Herbert Lütje was born on 30 January 1918 at Abbesbüttel in the Gifhorn region of Niedersachsen. He joined the Luftwaffe as a cadet with the rank of Fahnenjunker in November 1937. In December 1939, Lütje was posted to the Nachjagdstaffel of LG 2. His stay with the unit was short, being transferred to 12./JG 2 in February 1940. He participated in the French campaign and flew several missions by night in single-engine fighters in June. Leutnant Lütje was transferred to the Stabstaffel of III./NJG 1 in July 1940. On the night of 6/7 September 1941, he claimed his first victory on his 49th mission by night when he shot down a RAF Whitley twin-engine bomber near Metelen. 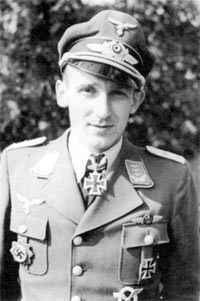 On 1 May 1942, Oberleutnant Lütje was appointed Staffelkapitän of 8./NJG 1. He had recorded five victories by this time. On the night of 9/10 August, Lütje claimed a RAF Wellington twin-engine bomber shot down to record his 10th victory. By the end of 1942, he had increased his victory total to 16. During a day mission against USAAF four-engine bombers on 4 March 1943, Lütje claimed a B-17 bomber shot down near Den Helder for his 18th victory. On the night of 12/13 March, he claimed his 20th victory when he shot down a RAF Halifax four-engine bomber near Alsalte. Lütje recorded six British bombers shot down on the night of 13/14 May for his 23rd through 28th victories. Hauptmann Lütje was awarded the Ritterkreuz on 1 June. Lütje was appointed Gruppenkommandeur of IV./NJG 6, based in Romania, providing aerial protection for the Ploesti oilfields, on 5 June 1943. In September, he flew some missions from Holland gaining three victories (30-32) before relocating back to Romania. Lütje was to operate by day on occasion, intercepting 15th USAAF four-engine bombers. On 10 June 1944, Lütje shot down two USAAF P-38 twin-engine fighters south of Bucharest but suffered wounds in the engagement and had to crash-land his Bf 110 G-4 (W.Nr. 140 018) “2Z + AF”. At night, Lütje was to add six RAF Wellington twin-engine bombers and a Russian DB-3 twin-engine bomber shot down over the Black Sea.  At the end of August 1944, IV./NJG 6 was relocated to Germany. On 1 October, Lütje was appointed Kommodore of NJG 6. During 1945, Lütje was to add eight additional victories by night. On 17 April, Major Lütje was awarded the Eichenlaub (Nr 836) for 50 victories. Lütje survived the war but died on 18 January 1967 at Köln-Wahn. Herbert Lütje was credited with 50 victories in 247 missions. Included in his total are three victories recorded by day, including one four-engine bomber. He recorded 47 victories by night.